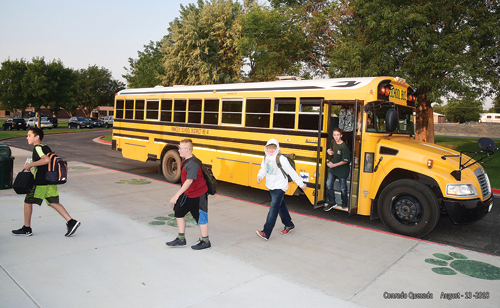 Rangely’s students headed back to school last week. For short bios of Rangely School District’s eight new teachers, see page 6A. Meeker schools start Monday. RBC I Preschoolers learn best through hands-on sensory experiences. They discover the principle of cause and effect, develop hand-eye coordination skills and practice fine and large motor skills.